It’s now your last chance to submit an abstract for our conference in February 2016. Please note that we will not be able to accept any abstracts submitted after the deadline, which will be midnight (UK time) tonight. 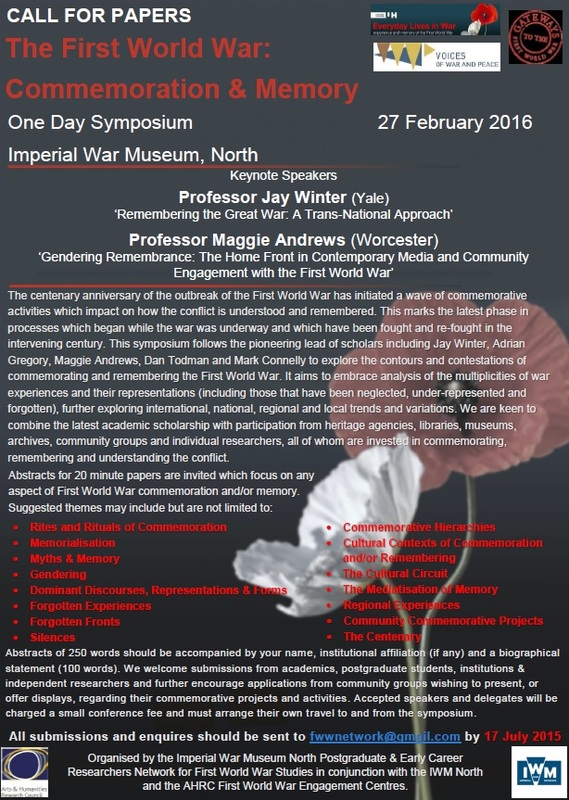 Just one week to go before the deadline to submit your abstracts for our conference at IWM North, supported by the AHRC First World War Engagement Centres. Professor Jay Winter and Professor Maggie Andrews will be providing keynote addresses on the day. And remember, ALL accepted postgraduate speakers will receive a FULL conference fee waiver, courtesy of the Royal Historical Society.